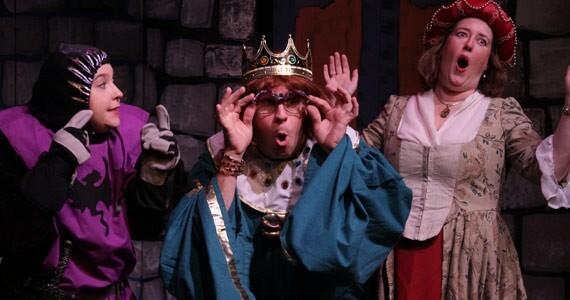 The Theatre Arts Guild pulls out all the stops with its family pantomime. Every year at this time, the Theatre Arts Guild pulls out all the stops with its family pantomime. The shows are consistently delightful, filled with music, comedy and with plenty of opportunity for audience participation. This year's offering, Camelot, the Panto, may well be my favourite of the many pantos I've seen at TAG. Veteran musical director Bunny Shore has a cast of very talented singers to work with, and her musical arrangements are a treat for the ears. The dance numbers choreographed by Melanie Demuresq are high-energy fun and make the most of the tiny stage. Director Angela Butler's experience really shines. The pace is perfect and the actors ham it up at just the perfect level. Children will love this show, but it's also the kind of show that brings out the "kid" in adults. And isn't that just what we're searching for at Christmas time?